Archery has become immensely popular over the past several years. Some people are simply interested in trying the sport and some choose to pursue it more seriously. This interest is fantastic for the sport. However, it’s not ideal for athletes, coaches and clubs. Regrettably, Bullseye usually doesn’t have enough training space for everyone. To help you out, here’s a list of resources and other local clubs. World Archery -- They set the rules. They put on the major international competitions. Watch our Canadian Athletes shoot with the best in the world. Archery Canada -- They run the show in Canada. Ontario Association of Archers -- They run the show in Ontario. Note: This list is in no particular order and is certainly incomplete. But it will at least show some of the resources available in and near Toronto. Toronto Public Archery Range -- This is also known as the E.T. Seton Archery Range or the Ontario Science Centre Archery Range. There are targets at distances from 20m up to 90m. There is no cost to use the range. Please respect the rules and other athletes. Bullseye Buccaneers Archery -- That’s us. Saugeen Shafts -- A Peterborough, Ontario archery store. The Bow Shop -- A Waterloo, Ontario archery store. 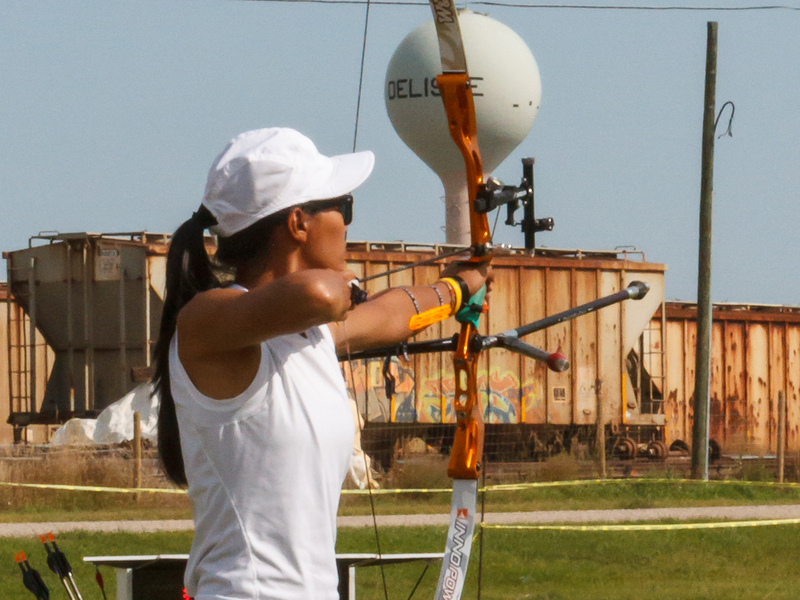 Odelia Wong competing at the 2011 Canadian Target Archery Championships.